Rabbinic Services – Temple De Hirsch Sinai. Temple’s rabbis serve our congregants in both joyous and difficult times. 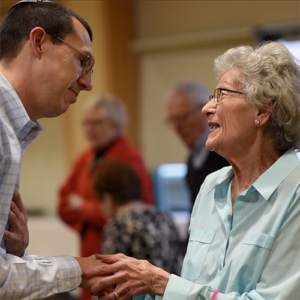 Our rabbis reach out one-on-one to offer solace at times of illness, bereavement or grief, and visit the ill and infirm in nursing homes, hospitals and hospice. Please contact us at 206.323.8486 if you wish to be connected to a rabbi. For emergencies, Temple’s Life and Death Emergency phone line is available 24 hours a day, 365 days a year: dial 206.323.8486 and follow the instructions. Click here to meet our rabbinic staff.